Our mental health crisis coincides with a loss of community, but mentoring can help. There’s little doubt America is in a mental health crisis. According to the community-based nonprofit Mental Health America, 1 in 5 adults has a mental health condition. And 56 percent of them don’t receive treatment. That’s more than 22 million people. When the National Institute of Mental Health surveyed adult’s symptoms, it found that 46 percent of Americans met the criteria the American Psychiatric Association established for some type of mental illness at least once in their lives. What’s worse, rates of severe depression in youth are on the rise, including from 5.9 percent to 8.2 percent in a recent three-year period. Unfortunately, 76 percent of them are left with either insufficient or no treatment at all. How could they? In some states, there is six times the number of patients as trained mental-health professionals needed to accommodate them. In Alabama, there’s only one mental health professional for every 1,260 people! The statistics themselves are depressing. Scientific American reports that suicide rates per 100,000 people are at a 30-year high. We’re in the middle of an outright epidemic of opiates. And it’s getting worse, not better. “We discovered two astonishing things about the rate of depression across the century,” American Psychological Association president Martin Seligman said in 1998. The U.S. Burden of Disease Collaborators studied 291 medical conditions in the period from 1990 to 2010. The rates that mental disorders disabled or killed people rose over the 20 years, even though other conditions declined. Our kids are hurting, and they’re carrying it with them into adulthood. According to the Centers for Disease Control and Prevention, each year 1 out of every 5 American children aged 3-17 suffer from a diagnosable mental, emotional or behavioral disorder. That’s 15 million kids, and only 20 percent ever receive treatment. The other 80 percent – 12 million children – are either undiagnosed or untreated. In 2015, suicide rates among teen girls reached a 40-year high. What is happening? Meanwhile we, as a society, have never been more connected – and never been further apart. Technology has enabled us to communicate with each others at every corner of the globe like never before. But it’s through cold text and pixels. Where is the comfort of a soft touch or a warm embrace? Besides, how often do modern-day Americans interact between anyone but their closest friends and family? Our ability to forge networks has eliminated a societal sense of community. In his book, “Tribe: On Homecoming and Belonging,” New York Times-bestselling author Sebastian Junger explains that our modern lack of tribal identity spurs loneliness and depression. In short: we’re lonely. According to Big Brothers Big Sisters of Canada, one of the key factors that influence population health are social environments. So how do you recreate tribalness and community in a world divided by individuality and distance? One way is through mentoring – it’s one of the protective factors suicide prevention programs such as Brevard, Fla.’s Sources of Strength centers on in its work. Not only can a mentor act as a life coach who keeps youth on the right path or guides adults into a fruitful career, but a mentor also can provide companionship that helps keep depressive symptoms and anxiety at bay. Numerous studies have concluded that social support affects well-being by reducing the negative effects of stress on health. In some cases, a mentor can even help a person seek professional mental-health treatment. As a last resort, a mentor can be deployed to protect a mentee from committing self-harm or even suicide. In fact, when New York University’s Michelle Munson and James Railey reviewed 25 studies on mentoring youth who experience mental-health challenges, they found mentoring program participants experienced “robust” improvements in mental health. Still other research has found that students involved in mentorship programs demonstrated significant improvements in classroom behavior, social performance, standardized test scores and attendance. In a study of almost 1,000 children and teenagers registered with Big Brothers and Big Sisters agencies in Canada, youth with a mentor were more confident and less likely to display behavioral problems. In their review, Munson and Railey also found that the mentors themselves also experienced reductions in their own stress levels. And a study between professors at the universities of Cambridge and Oxford concluded that mentoring junior colleagues can reduce anxiety within the mentor and improve their mental health. The study, published in the “Journal for Vocational Behavior,” found that mentoring relationships provided a unique way for mentors to discuss and normalize their own concerns. Mentors also were able to share ideas for managing anxieties, which in turn helped reduce the mentors’ anxiety. “The study suggests that a relatively inexpensive practice such as mentoring can help reduce anxiety among both senior and junior staff, and this could help organization’s address the serious and costly workplace issues of anxiety and mental health,” University of Cambridge’s Thomas Roulet said. Lawyer, author and strategic advisor Walter Schindler explains how an unexpected mentor taught him the value of mentorship as he was a student at St. Dominic’s grammar school. In response to the evidence, some organizations are placing a newfound focus on mentorship and its positive impact on mental health. Australia’s Hornsby Hospital has piloted a virtual mentoring program, “Being Herd Digital Peer Support Group,” for Mental Health Awareness Month in October. Meanwhile, the U.S. Senate recently passed a bill that emphasizes mentoring to help combat the nation’s opioid crisis. Per the Recovery Coaches Offer Addiction Counseling and Healing Act, federal grants will ensure that those with substance use disorders have access to specifically-trained coaches and mentors who are also in recovery. Likewise, universities are seeking to counter their own mental health crises with on-campus mentorship programs. Colorado State’s Campus Connections, for example, allows students to enroll in a three-credit service-learning course in which they mentor at-risk youth aged 11-18. Some of their participants have described the experience life-changing and a most memorable experience in their college careers. Mentors can come in any form. Sure, a mentor can be found within a colleague, a cleric or a peer. And sometimes they can be found in the most unexpected of places. The moral of the story? 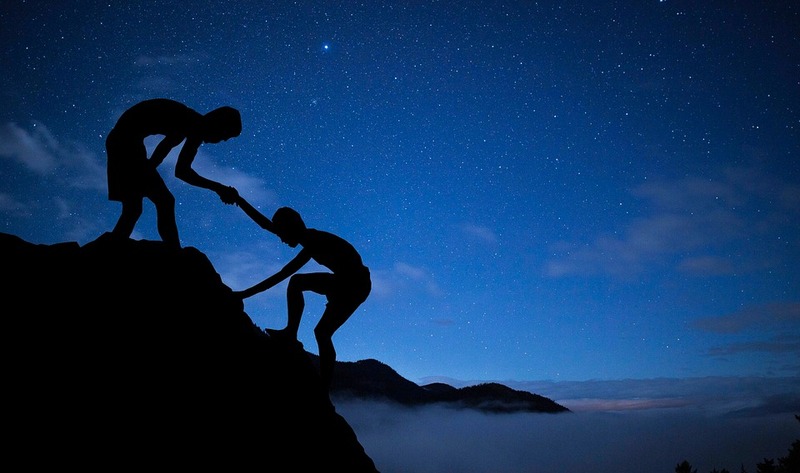 Seek out a mentor – or a mentee – no matter what your role in life. You’ll both be the better for it.